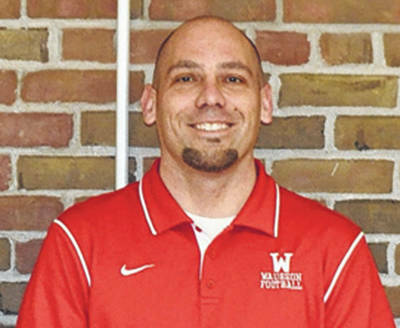 Wauseon head football coach Travis Cooper is resigning from his position but will remain a teacher at the school. He has led the program since 2011. “When I was brought in by Marc Robinson, Bill Hanak, Keith Leatherman and Bill Gase to teach at WHS and lead the football program, I was given a vision of what they were looking for in a teacher and a head football coach. My vision blended with theirs beautifully, and I promised them that I was going to lead the program back to the playoffs and win league titles,” said Cooper in a letter to Wauseon Superintendent Larry Brown. “But most importantly, I promised them that I would be an even better teacher than a football coach. We were able to win a lot of football games and make good on those initial promises multiple times, but most importantly with class that highlighted the great young men in our program. Cooper held a 54-32 record at the helm of the Indians. They won back-to-back Northwest Ohio Athletic League titles in 2014 and 2015. The Indians made the postseason four times under Cooper, getting as far as the regional final in 2014.